I hadn't planned to join this challenge, but since I am reading How the Irish Saved Civilization by Cahill in February, I decided it should be easy to read another book for the challenge and meet the two book requirement. For all the details head to Books and Movies. I am going to choose Shamrock level: 2 books. Yay - I talked you into it! 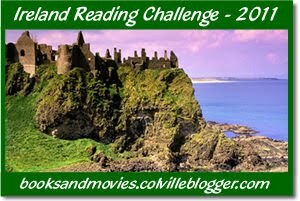 I'm doing this one too, I love books about Ireland. And I'm also reading the Cahill, though I'm not sure it'll be in February!